Furnace repair and heating repair jobs are not your average do it yourself jobs. If your do-it-yourself repair is not done right it can cost you your home and your life. Most house fires during the winter in Tulsa are caused by faulty furnaces and heating systems. Remember that an unsafe furnace repair or heating repair can cost you more than money. To do the job right it takes specialized equipment and expert repair to ensure you will stay warm and alive this winter. Circle B Mechanical specializes in repairing and installing home and commercial furnace and heating systems in Tulsa and all surrounding areas. Our certified technicians are trained on all of the latest heating systems and furnaces as well as being able to repair the older systems as well. After inspecting and testing these items we then look for any loose or broken wiring then check all of the electronics and mechanical components of your furnace and heating systems. Our furnace and heating repair trucks carry many of the replacement parts for almost every type of furnace and heating system. 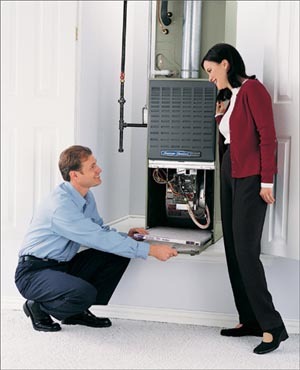 Sometimes it is a simple adjustment or small repair of your furnace and heating system. Other times it requires that we install new parts or complete heating systems. You can be sure that Circle B will do your heating repair job right and won’t leave you out in the cold. The best way to keep your furnace and heating systems working at top efficiency is to have them checked each year. Having a good heating and air maintenance program saves you money in the long run and ensures that your furnace and heating system works when the weather gets cold. Circle B Mechanical has furnace and heating system maintenance programs that can save you money and keep you warm at the same time. Before it gets too cold call Circle B Mechanical to check your furnace and heating systems. With Oklahoma weather changing, now is the time to have your furnace repair and heating repair done safely and right the first time. If you are cold in Tulsa call Circle B Mechanical at (918) 367-6298 for expert furnace repair and heating repair. This entry was posted in Heating Repair and tagged furnace repair, heating repair. Bookmark the permalink.